WARNING! CHARACTERS AVAILABLE FOR THE WHOLE SERIES SO SPOILERS POSSIBLE. THIS RP IS SET DURING THE ORIGINAL TRILOGY. Hey all. So, I've been in the mood for some AA RPing lately and I wanted to try something a bit different from what I've done before. As you may have already seen Jess has made an RP set during the past and I thought it might be fun to have another RP running at the same time set during a different period. Since a lot of our RPs have been set from the AJ era onwards in the past, I thought it might be fun to have one set during the 'Phoenix Trilogy' era. This RP is going to somewhat follow the rules of the previous Anythings vs Lawbreakers RP style but with very key differences which I'll detail below along with all the information needed for anyone who's unfamiliar with those previous RPs. Who can I play and how do I take them? Getting right into it then? Good. So, unlike the Anythings vs Lawbreakers RPs in the past, this isn't really so much a villains vs heroes type thing. Characters who have been killed or imprisoned are not available, so no Manfred, Matt Engarde or Gregory Edgeworth for example. 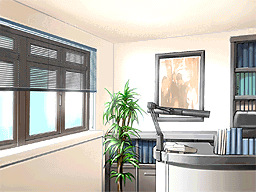 This RP takes place two days after the final case of AAI2. Obviously, there's not a lot of time in canon between this and the events that kick off AJ, but this is an RP and I wanted a point in time where characters have met before etc. Characters alive at this point in time or who have not committed or been found out to have committed crimes are therefore still available, so characters such as Kristoph Gavin or Drew Misham are available to be played. This also extends to any other character who should exist at this point, however, I would prefer characters who would be children at this point and aren't involved in the plot in this time period to not be taken if possible. The reason for this I'll elaborate on in my next point. Characters from AAI2, AJ and DD will be available. I'll hold off SoJ characters for now unless people specifically request them in which case I'll listen to what people taking part in the RP are ok with before making a decision. I have made a roster of characters active in this time period, any who I have not listed that people would like however they can request in the OOC thread and I will consider. How should I play the characters? Now, I like to give people leeway with characters. I trust people here who I've RPed with many times before to know how far they can take things and what the limits should be. For this specific RP, I would like to make it work somewhat with the canon, so this RP is like side stories taking place within the timeframe and could be somewhat plausible within the canon. Characters such as a child Trucy would probably be better not meeting Phoenix yet for example as that doesn't happen till the case in AJ. That said, I am not going to be incredibly strict on this, things do not have to perfectly fit the canon as then it'd be pretty restrictive, it's just a guideline I'd like people to try and play characters in a way that makes sense for the time in the series this is set. Regarding characters from the future who would be around in this time period, again I would like to see people play them in a way that makes sense, however, I would prefer if possible for people not to take on characters who would be children during this time. Major characters like Athena Cykes if someone wanted to RP her as a kid could possibly work, but they might be a bit limited in what they could do without majorly altering canon. As such, I will allow people to take on child characters if they wish but I would prefer to have more of a focus on the adult characters who are active in this era. That said, this doesn't apply to characters like Pearl who obviously are a big part of this era in the source material as a kid. Also due to this RP's aim to be more of a side story or interquel canon characters cannot be killed off or have extremely major events happen to them that would not fit in with the rest of the series. Again, I don't want to be overly serious with this as the point of this RP is to have fun, I'd just like if possible to keep things workable as an expanded universe type thing. One other note, GK2 characters will use the names from the AAI2 fan translation in this RP, mostly as we're using the localised names for the other characters so it will fit better. Are only canon characters available and how many can I RP? OCs? Are you sure about this? Anyone who's RPed with me in the past probably knows I tend to avoid OCs in my RPs, other than GRP where anything goes. However due to this time period and not having tons of dead characters and convicted characters available in this RP I wanted to have something so there can still be a variety of characters available. OCs will work somewhat differently to canon characters. Since they are non-canon they can have anything happen to them, including being killed off or even being a murderer, wrongfully imprisoned or all sorts of other things. To take an OC there is a form to fill out and post in the OOC thread. OCs can be relatives of existing characters, but it has to make sense. If a character briefly refers to a family member, such as Von Karma's granddaughter then it is fine to have that character appear, however having Edgeworth's long lost twin brother or Cousin twice removed is something I'd rather not have personally as it would be a fairly major element to the character and not really fit with the rest of the series. Regarding profession, an OC can be whatever you want, a Defense Attorney, Prosecutor, Judge, Police Officer or Detective, Chef, Librarian, really whatever you think would be interesting. With that said, they still have to make sense in the AA world. Your Prosecutor can't for example have a larger win record than Von Karma or Edgeworth as that would really take away from those characters. So really in conclusion, try to make an OC interesting and unique but try to make sure you don't go too far with them. I will have to accept an app before you can bring the OC in. One other note: As GM I will likely have OCs who aren't 'my characters' appear for brief roles, like if in a scene there's a police officer a character speaks to, or a Judge different from the usual ones appears briefly in a court scene, or just a general background character like a receptionist. Other players can have OCs in limited roles but if they start becoming prominent they should probably be applied for as an OC. If Lang for example has officers he speaks to who work with him then they wouldn't need to be applied for, but if he had a specific officer he's always talking to they'd need to have an OC form filled out I believe. Can I drop a character? Yes. In the case of canon characters, simply ask me if you can drop a character and I will open up their spot on the roster. I will inform people who take that character on afterwards of what's taken place with them before in the RP. I would prefer however that people do not repeatedly drop characters to take on new ones. With regards to OCs, you can do whatever you'd like to get rid of them, including having them killed off, or leave on a plane abroad to never return, really dropping OCs when their story is played out and you'd like to bring in a new character is encouraged. Do I have to use sprites? So, what do we do in this RP? Well, specifically there isn't a set goal or anything. This RP is about having fun with character interaction. Characters can travel to whatever location you wish to in the AA world, although it has to make sense how they get there, so going to another country such as Borginia for example would be done through going on a flight by plane rather than just walking there. Characters can also start off where you want them to as long as it makes sense. For example we know Edgeworth takes a lot of trips abroad to see other court systems etc, so it's justifiable to start him off in another country. The same goes for characters who travel around a lot like Shi-long Lang. When travelling to a location it is not required but would be beneficial to other players if possible to post a picture of the location. Also, regarding time scale etc, I have picked a specific point in the timeline, however as this is an RP don't worry about how long there is before the next event in the timeline. We're not going to have a time limit on the RP or anything so really whatever we want within reason to happen can. So, that should be about it I think. I hope we all have fun and I look forward to hopefully having some cool stories play out! "Hello, Mr. Nick! We came to see you!" Isn't it a little early to be so loud Maya...? So, I thought you were both off doing training? "So what are you up to, Nick? Got anything fun to do? Any case to solve?" "Y-Yes. Mystic Maya and I would miss you too..."
"So, Mr. Nick, will we get to see you lawyer techniques today?" Nameless Judge: ORDER! I will have order in my court! Man: AH! The artist in me Defence Attorney, it makes my heart flutter to hear you weave such a tale! Yes! Truly you have weaved a complex web to implicate me in this most vile crime! Man: But... a true writer knows they must have a thread of logic in their tales. As it is, you've jumped right to the ending without justifying how you've got there. It is a tragedy to be sure, but the only possible outcome in this tale, is the one in which the defendant killed the victim. Y-yes! Yes it is as the witness... has said. You have no definitive proof of the witness's guilt!